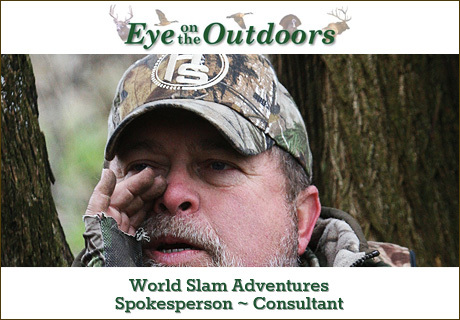 World Slam Adventures was started back in 2013, to bring the very best of Wild Turkey Hunting to the people who love it! Since day one, that was our motto! Since we began hosting and working with turkey hunters, we have been blessed to have many, many repeat clients, come back year after year, chasing down their Grand, Royal and World Slams with us, and our family of outfitters. Many of these hunters have grown to expect the service we offer our clients, and while there are many other booking agents offering Big Game hunts, we still provide a level or service second to none in the industry. These clients approached us, and requested that we offer hunting opportunities in both Big Game and Wingshooting, so that they could “come home” to World Slam, where they feel most comfortable, and well taken care of. As such, and by request, we are now working with a Limited Number of Big Game outfitters, to provide these hunts to our clientele base, so that even when not chasing Turkeys, they can still experience the level of service they have grown accustom to, as World Slam Friends and Clients.